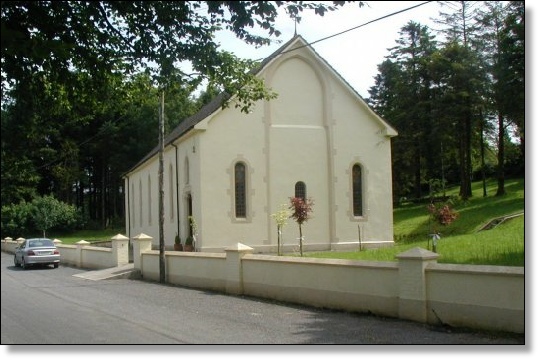 St Brigid's Church, Drumkeeran, the parish church, was built in 1869, replacing the earlier "Bog Chapel" which dated from the mid 1770's. 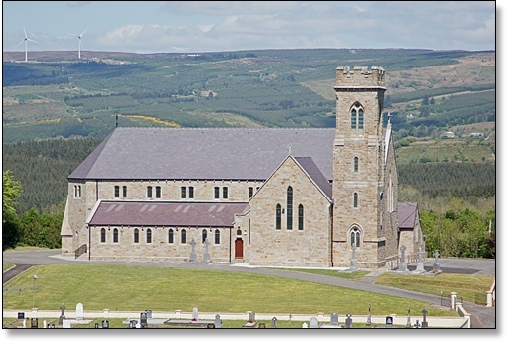 This is a fine sandstone church built on an elevated site overlooking Lough Allen. 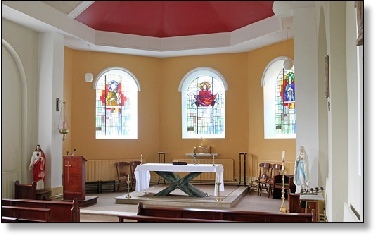 It was built while Fr James McPartlan was parish priest and was opened by Bishop Nicholas Conaty in 1869. The belfry was added in 1886. 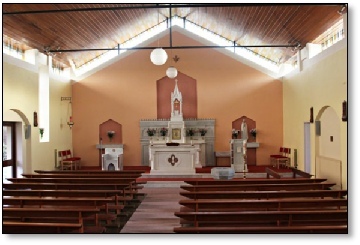 Fr McPartlan was a native of the parish, having been born in the townland of Greaghnaslieve. He died in 1886 and he is buried within the walls of the church, beside the altar of the Blessed Virgin Mary. Weekday Mass times vary and details are published in the weekly Newsletter. Formerly part of the Parish of Killargue, Creevelea was joined to Inishmagrath in a revision of parish bounderies in 1969. The original Creevelea Friary at Dromahair was closed down in 1650 and the friars moved to the townland of Tawnylea. As a result Tawnylea became known as New Creevelea. 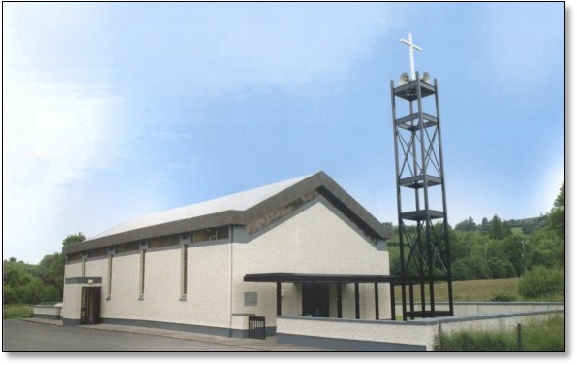 While there is no townland called creevelea the present St Brigid's Church, in the townland of Tawnylea, is known as Creevelea Church. The present church was built in 1871. In 1835 a small St Patrick's Chapel was built in the townland of Corglass, replacing the earlier "Bog Chapel" which had been built sometime in around the 1770's. The 1835 church was not the first St Patrick's Chapel in the area. A church named after St Patrick was built in medieval times on the shore of Lough Allen in the nearby townland of Curraghs. Substantial ruins of this church have survived and the adjoining cemetery is still in use. The present St Patrick's Church was built in 1904 and extensive renovations were carried out in 1973 while Mgr Edmond Lynch was parish priest and Fr Oliver Kelly was curate. 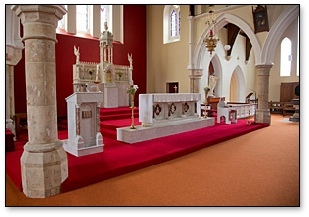 The sanctuary of the church was refurbished in 2011.
each with it’s own church. and the two other churches are in Tarmon and Creevelea.